This coming weekend, June 23rd & 24th, Colle Val d’Elsa, near Siena, plunges back into its history and hosts the second edition of Il Rinascimento di Colle, a huge open air show that will last from 5pm to midnight. 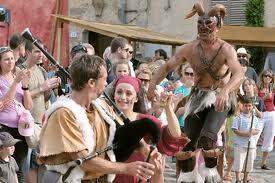 As the reader can infer from the title, the two days are dedicated to the reenactment of the Renaissance period. The picturesque setting of this event will be held in the upper part of town, with its well preserved medieval centre and the Castle. 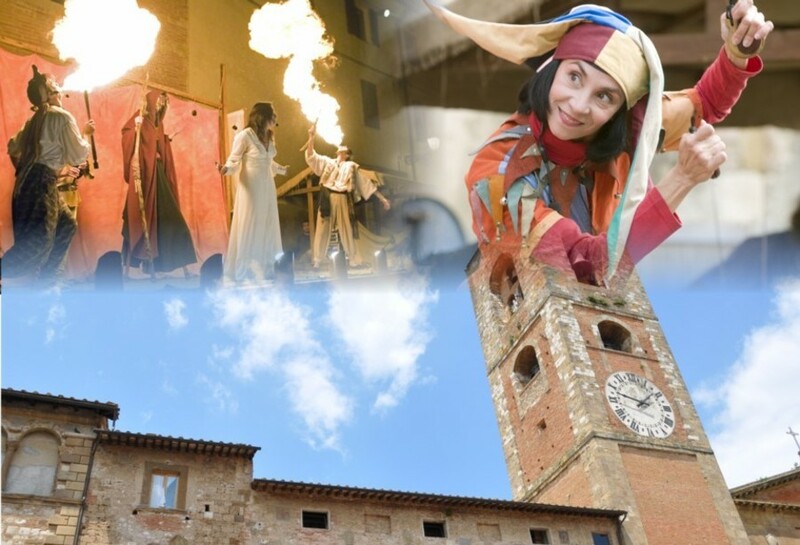 This year’s theme is “Merry Celebrations and Games on the Via Francigena” and the main goal is precisely to continue to entertain and amuse visitors with buskers, musicians, jesters, jugglers, storytellers, fights and travelling shows, with a special eye, and space, for children. 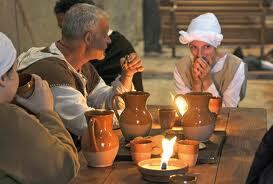 To complete the historical reenactment there will also be a military garrison, artisans, antique shops and markets and taverns set up in the squares where one can taste the typical products of Tuscan tradition. To breathe the Renaissance atmosphere it will suffice to walk around town where it will be easy to meet many walk-ons dressed in period costumes. Active protagonists of these two days are the various associations of Colle Val d’Elsa, committed to revive the age old period crafts and markets, to set up taverns where one can taste traditional recipes and to liven up the town with many shows with the help of professionals. A great show under the open sky, therefore, that will turn into ‘protagonist’ whoever will want to participate and discover the upper town of Colle Val d’Elsa and its local history, having fun and in good company. Il Rinascimento di Colle is not a mere historical reenactment but also an opportunity to introduce the territory of Colle and its artistic, cultural and gastronomic heritage as well as its products of excellence: crystal. Colle Val d’Elsa, in fact, produces 95% of the Italian production and 15% of the world one. At the Castle, the oldest part of Colle, it will be possible, during the 23rd and 24th of June, to assist at its processing, both hot and cold. 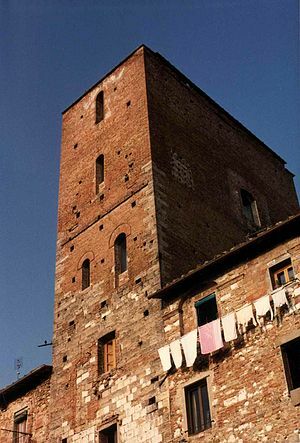 The town can be accessed through the ancient, monumental Porta Nova and following a long, winding street visitors will find a series of elegant 16th and 17th century noble houses, such as Palazzo Usimbardi, Palazzo Buoninsegni and the Town Hall, to finally reach the magnificent Palazzo Campana which marks the entrance to the Castle. Suddenly the atmosphere changes, the streets are narrow and paved, the superb noble houses are now of the 15th and 16th century, such as Palazzo Luci, Palazzo Morozzi, Palazzo Giusti and Palazzo Dini, and interspersed with enthralling tower-houses, among which the most famous is la Casa-Torre di Arnolfo di Cambio, birthplace of the famous sculpture and architect. Also worth a visit are the Civic and Religious Art Museum, on the first floor of the beautiful town hall, and the incredible Crystal Museum down in the new part of town know as the Plain, whose structure was built incorporating the chimney of a former glass company. 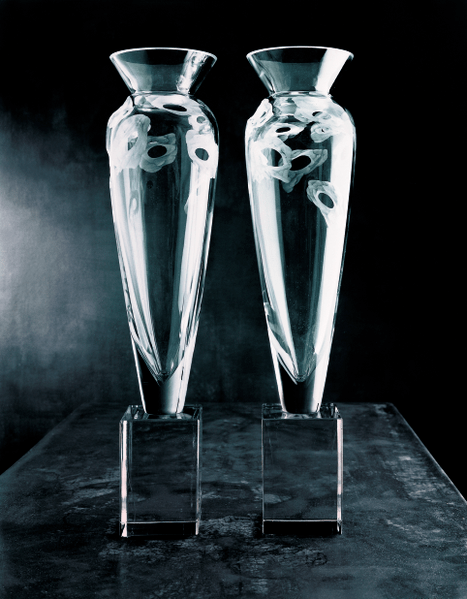 The exhibition illustrates the history of glass production, from its origins in the 14th century, with some medieval findings, to the factory plants of the 19th century, with the production of optical and dichroic glass, the invention of a new system of producing objects by half casts, the experiments in 1963 on making lead glass, up to today’s modern design objects. Certainly worth a visit. Here is one of our lovely accommodations in Colle Val d’Elsa. For more info just contact us through www.tuscanyholidayrent.com.